Copify offers a global network of qualified, approved copywriters capable of turning around stellar blogs, articles, profiles and SEO-ready web copy within 48 hours. Priced per word or in right-sized subscription packages, Copify helps organizations of all kinds generate quality content. 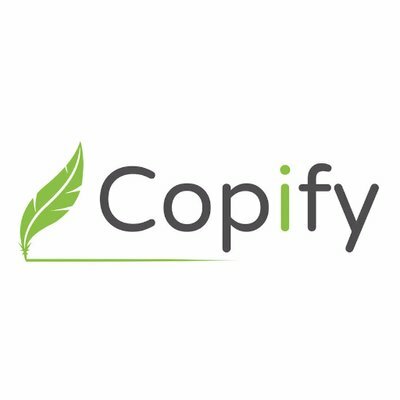 Copify is a global network of qualified, approved copywriters capable of turning around stellar blogs, articles, profiles and SEO-ready web copy within 48 hours. Priced per word or in right-sized subscription packages, Copify helps organizations of all kinds generate quality content.